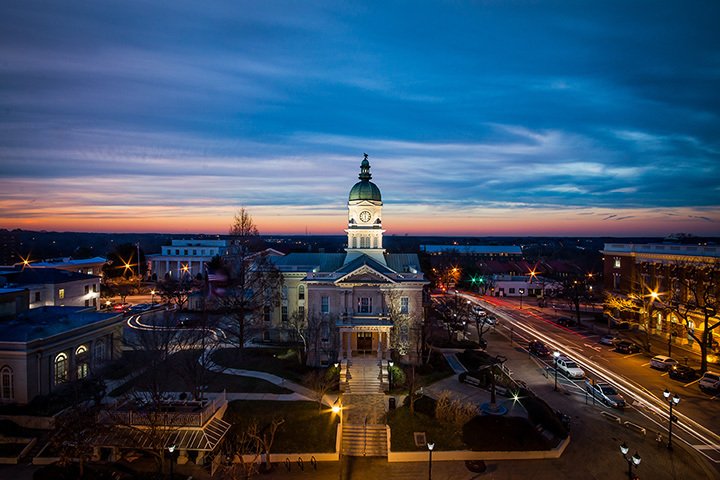 The charming southern town of Athens has a busy week ahead! Fill up your weekend (and week) with holiday pub crawls, college football, and Christmas concert. Here’s what you need to know. Athens’ own University of Georgia has had another standout football season, and Bulldog fans everywhere will have their eyes on the SEC Championship game this Saturday. Football fans 21+ can grab a spot on the Party Bus for free all-you-can-drink beer, round trip travel to the game, and drink specials at affiliate bars. At just $65 person, you won’t find a better way to enjoy the game. Or, you can head to the Foundry for a viewing party with hundreds of like-minded fans. There’s no cover charge for the event, plus you can catch all the action and tons of food and drink specials. This scaled-down crazy home-building extravaganza will be the sweetest experience of the week. Kids ages 14 and under are welcome to compete in building their own gingerbread houses, which will be displayed to the public Dec. 6-9. You will need to register for the event by Dec. 1 to be entered in the competition. All proceeds will benefit Athens Land Trust's Young Urban Builders program, a local effort to train youth in construction skills and rehabilitate homes in the Athens area. One of Athens’ most anticipated holiday events, this pub crawl takes you through the historic district to four of your favorite hangouts. This event started as a group of friends dressed in holiday festiveness and raising money for a good cause, and the event gets bigger and better each year. This year’s proceeds will benefit Boybutante AIDS Foundation, Inc, so you can start the season of giving with a little weekend entertainment to boot. The crawl starts at Boars Head at 6:30, then passes through Cutters and Little Kings before ending with a costume party and dance fest at Live Wire’s event center. Wristbands are $15 in advance and $20 at the door. There’s nothing like Christmas music to put you in the holiday spirit. The Athens Choral Society will take the stage at 8 p.m. in Hodgson Hall on Tuesday, Dec. 4, to perform all four suites of the “Many Moods of Christmas.” This beautiful collection will feature 18 familiar carols and a full orchestra, filling the air with all your favorite sounds of Christmas. The event is free and open to the public. Join this educational journey as local chefs, thought leaders, and experts explore approaches for creating a sustainable food system. Hosting the event is Five and Ten, which was recently recognized by the 2018 Good Food 100 Restaurants list for their role in promoting sustainable food systems. This enlightening panel discussion will also explore the growing farm to table movement, as well as restaurants’ impact on good food economies.